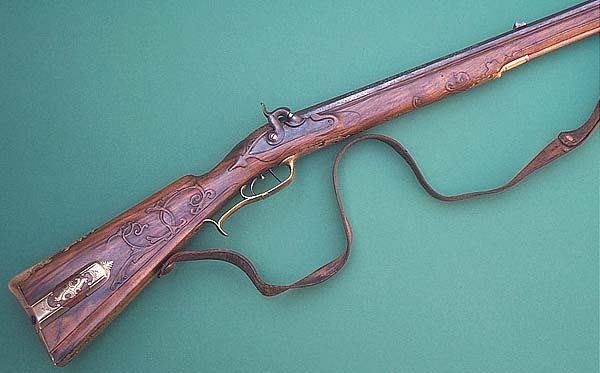 Bavarian percussion rifle converted from flintlock about 1850. 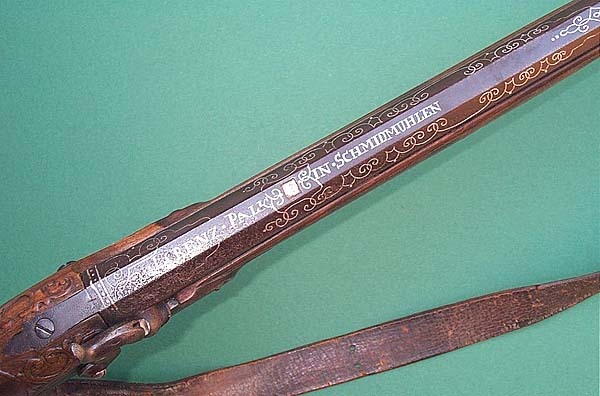 Smooth, originally blued, eight edged barrel with swallowtail front sight; on top of the barrel silver signature "LORENZ PALK IN SCHMIDMÜHLEN". 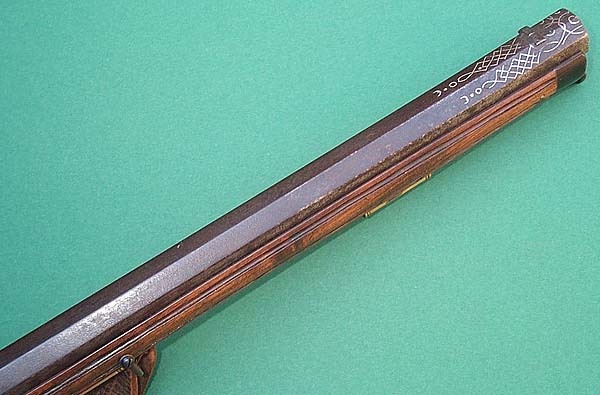 Masters mark in silver and signature going over three plains of the barrel and limited by a pearl motive and silver decoration that are repeated at the muzzle. 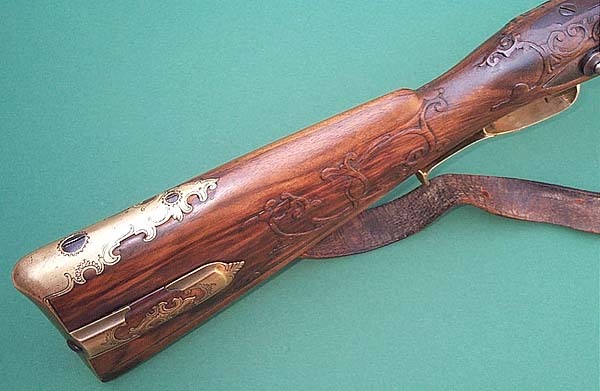 Made by Laurentius/Lorenz Palk aus Schmidmühlen in the near of the city of Amberg, who worked there after Stockel about 1780 although the rifle is at least 20 years older. 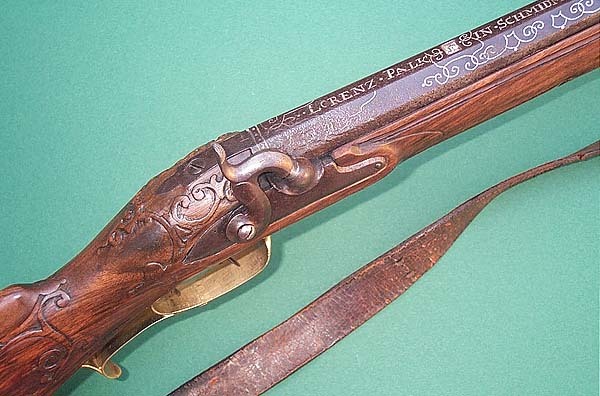 Several guns made by Palk are known and exhibited in the museum there, the barrels of which are signed in the dialect of this area "Laurentius Palk in Schmidmihlen". 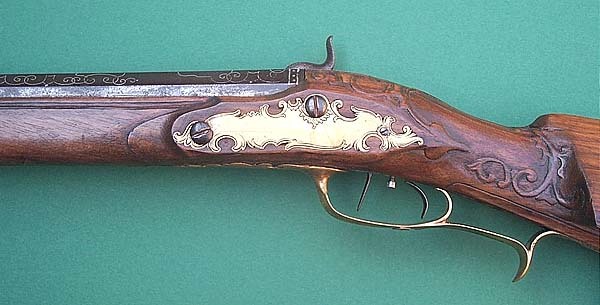 Rounded and about 1850 converted and blued lock with an adjustable light trigger. Restored walnut full stock with great Bavarian cheek piece, highly relieved scrollwork and smooth brass mounts with rococo decoration. Total length 110cm, ca. 17mm smoothbore.